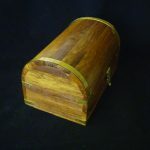 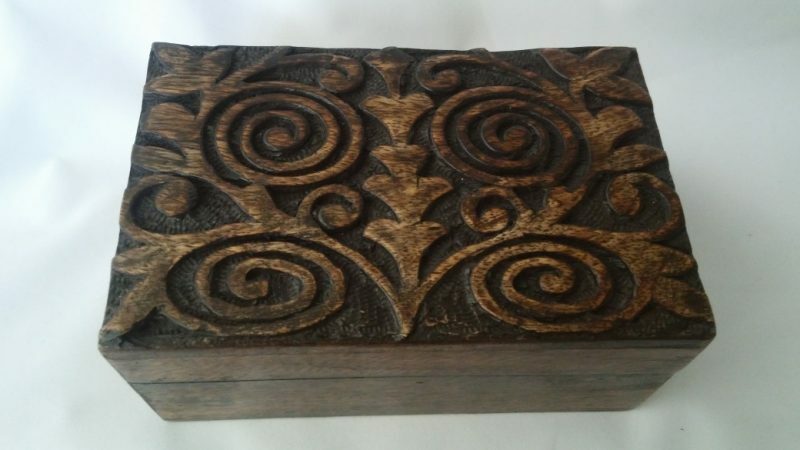 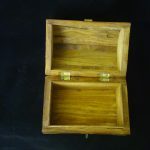 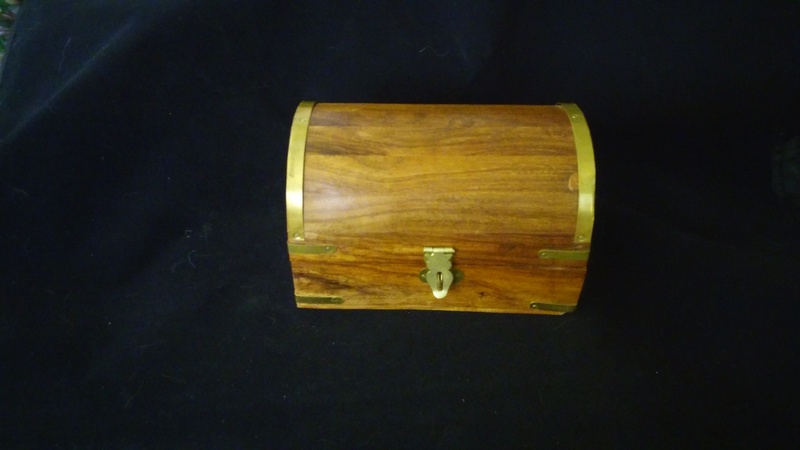 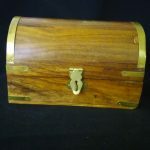 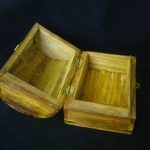 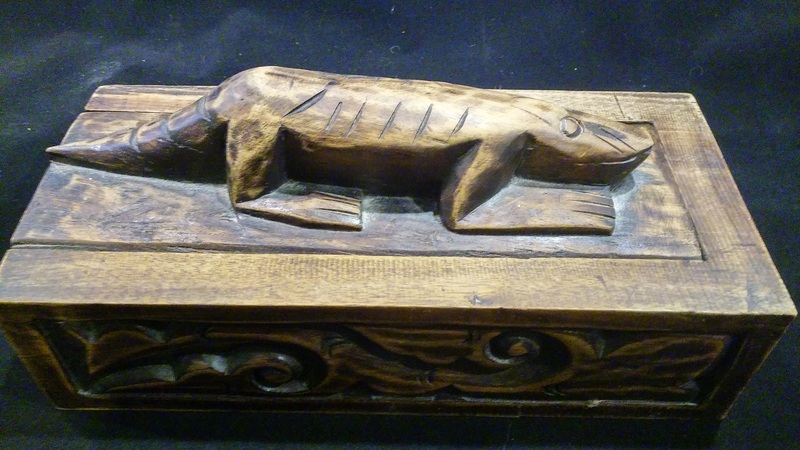 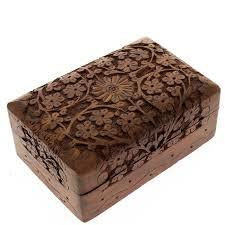 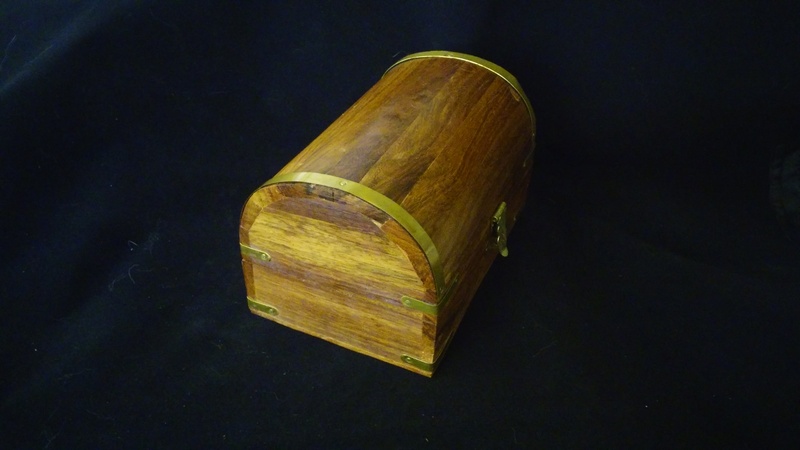 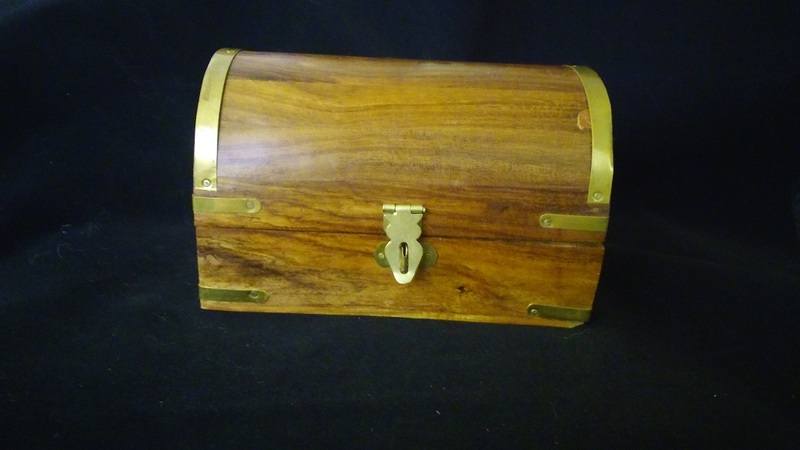 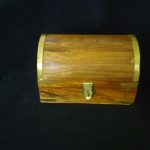 Wood domed, brass trimmed treasure chest with hasp. 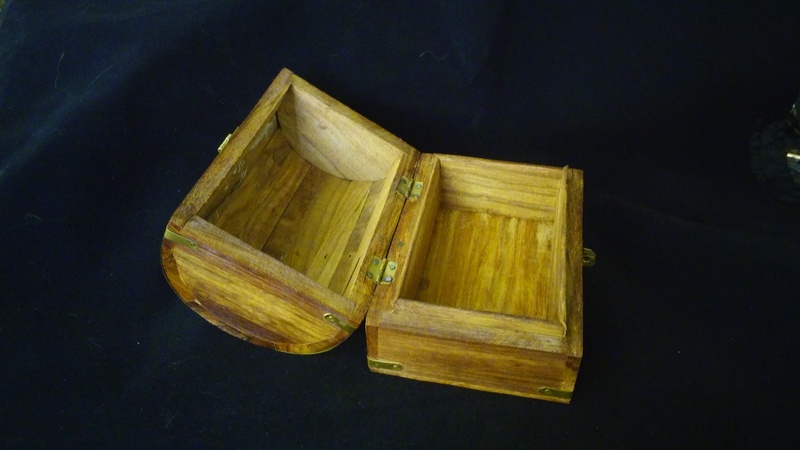 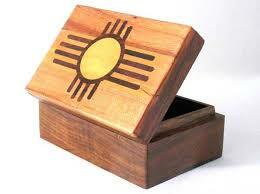 Outer dimensions are 6″ x 4″ x 3 5/8″. 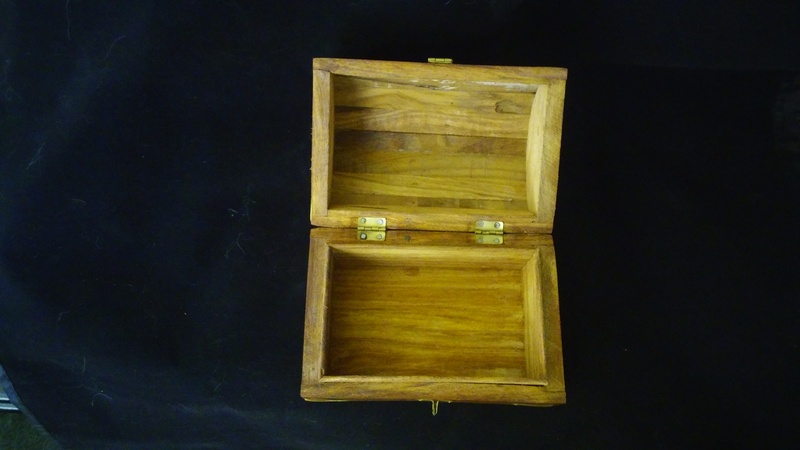 Inner dimensions are 4 7/8″ x 2 7/8″.